Eurostar Confirms Start of Amsterdam Services. Eurostar has confirmed the start of services between London St Pancras station and Amsterdam Centraal on 4th April 2018. Trains departing from St Pancras will take 3 hours 41 minutes, with a morning service departing at 0831 and an early evening service at 1731. However, on the return service passengers will have to take a Thalys train from Amsterdam Centraal to Brussels-Midi/Zuid, in order to go through security, before taking a Eurostar service back to St Pancras. https://gtm.uk.com/wp-content/uploads/2014/03/Eurostar_Logo_lb.jpg 151 504 Paul https://gtm.uk.com/wp-content/uploads/2015/05/logo_trans.png Paul2018-02-15 20:28:322018-02-15 20:28:32Eurostar Confirms Start of Amsterdam Services. Disruption to Eurostar Services Monday 2nd March. Due to a person hit by a train between Ashford International and Ebbsfleet International, the High Speed line is currently closed. As a result Eurostar trains are subject to delay and cancellation this afternoon. Emergency services are attending the incident and as soon as they advise the line can reopen our service will resume – we expect a further update shortly. Due to likely delays and/or cancellations, customers due to travel today are advised to exchange to travel another day or refund their ticket. https://gtm.uk.com/wp-content/uploads/2015/05/logo_trans.png 0 0 Paul https://gtm.uk.com/wp-content/uploads/2015/05/logo_trans.png Paul2015-03-02 14:06:242015-03-02 14:06:24Disruption to Eurostar Services Monday 2nd March. Hundreds of passengers have had to be evacuated from a broken-down train in the Channel Tunnel this morning, in an incident which has led to long delays for travellers today (Monday 7th July). The French-bound Eurotunnel passenger shuttle train came to a halt about a quarter of the way through the tunnel after a problem with the overhead power line. As it was likely to be some time before the train could be moved, the 382 passengers and four dogs were evacuated and taken on to the French terminal. Services through the tunnel, using one of the two running tunnels, were able to continue but Eurotunnel warned that services were being delayed, with hold-ups possibly lasting for the rest of the day. The problem has also affected Eurostar’s services, with four services already being cancelled today. https://gtm.uk.com/wp-content/uploads/2015/05/logo_trans.png 0 0 Paul https://gtm.uk.com/wp-content/uploads/2015/05/logo_trans.png Paul2014-07-07 10:22:352014-07-07 10:22:35Significant Eurotunnel Delays. New Eurostar & Deutsche Bahn Destinations. With just one ticket you can now travel on Eurostar and Deutsche Bahn to twelve cities in Germany. By taking the Eurostar to Brussels you can then connect on to Deutsche Bahn services to: Aachen, Berlin, Bonn, Bremen, Cologne, Duisburg, Dusseldorf, Essen, Frankfurt, Hamburg, Hanover or Munich. Fares start from just £49.50 one-way, with the shortest journey time being just 3 hours and 46 mins to Aachen. https://gtm.uk.com/wp-content/uploads/2015/05/logo_trans.png 0 0 Paul https://gtm.uk.com/wp-content/uploads/2015/05/logo_trans.png Paul2014-03-07 08:38:252014-03-07 08:38:25New Eurostar & Deutsche Bahn Destinations. France – General Strike 10 September. This afternoon it has been reported that the national general strike by public sector workers in France is going ahead tomorrow. It is now understood that air travel will be impacted, however, to what degree is as yet unknown. Eurocontrol reports that air traffic routes may be reduced by 20 percent depending on staffing, but that will depend on the situation that develops through tomorrow. According to the Director of Operations, there may be delays in the Brest area as early as this evening (Monday 9th September). From tomorrow delays of 25 minutes to two hours should be expected in the areas controlled by towers around Bordeaux, Reims, Paris, Marseille and Brest. There are likely to be air traffic restrictions at Paris-Orly, Lyn and Marseille. As always, our advice to to check in online for your flight and ensure that your email address and cell phone number is in your booking. https://gtm.uk.com/wp-content/uploads/2015/05/logo_trans.png 0 0 Paul https://gtm.uk.com/wp-content/uploads/2015/05/logo_trans.png Paul2013-09-09 16:35:292013-09-09 16:35:29France - General Strike 10 September. 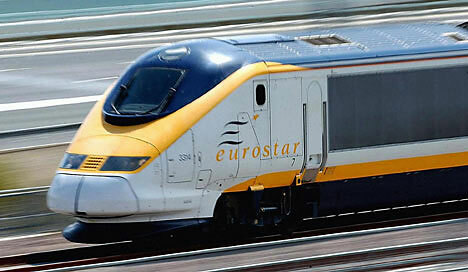 French Industrial Action – Eurostar Services Unaffected. https://gtm.uk.com/wp-content/uploads/2015/05/logo_trans.png 0 0 Paul https://gtm.uk.com/wp-content/uploads/2015/05/logo_trans.png Paul2013-06-10 13:52:222013-06-10 13:52:48French Industrial Action - Eurostar Services Unaffected.